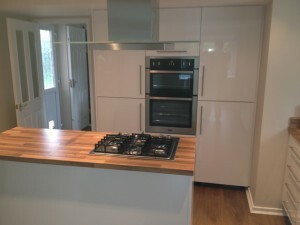 Are you looking for an expert Southport kitchen installations team. A new kitchen has the power to transform your home and also transform your life. When you have a bespoke kitchen that is designed to your taste, you’ll find you enjoy spending time there, and you’re proud to show it off to your friends. We can help you achieve the stylish and attractive kitchen that you and your family deserve with our in-house designers and time served kitchen installation managers and kitchen fitters on hand to help and assist you in the design of your kitchen, prepare layout plans, advise on kitchen surfaces, finishes and appliances and tailor it to meet your every need. We also appreciate that a new kitchen installation can be a big expense, so for the price conscious customers among us, why not let us remodel your existing kitchen by offering a replacement unit door service. This can be done without replacing any of the existing appliances, carcasses or worktops. We simply remove all of the existing drawer and unit fronts and replace with new, giving the appearance of a brand new kitchen. In addition to updating an existing kitchen, we are able to renew floors, wall tiling and decoration without any disruption to you existing kitchen fittings.